Interventionist human–computer interaction for development (HCI4D) research universalizes diverse non-Western sites as marginalized contexts that justify researcher involvement yet function as barriers to methodology and praxis. In contrast, reflexive HCI scholarship decenters universalizing narratives of (good) design, (for) development, and (peripheral) innovation, by valorizing user practices in rural, low-income, low-text literacy settings. Reflexive HCI has demonstrated how innovators working with advanced technologies in elite non-Western spaces of privilege produced non-Western culture and innovation in ways that resist mainstream interpretations of innovation. This study extends reflexive HCI perspectives to critique HCI4D and study innovation in marginalized settings. 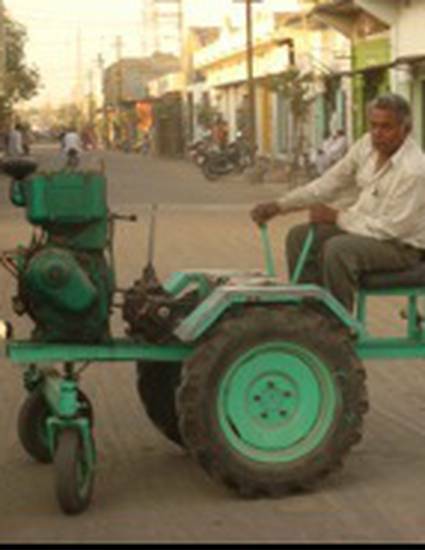 Findings from multisited ethnographic research across 25 urban, peri-urban, and rural communities in India demonstrate how physical, social and economic contexts serve as triggers and challenges for frugal and open innovation practices in underresourced communities.